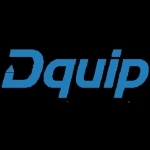 As a Software Reselling Specialist you will introduce Dquip products and services to Resellers.You will spend time searching, collecting and collating database of leads pan India and Internationally. You will sign-up tech companies as Resellers for our software products. You will engage, co-ordinate, inform and help Resellers to understand our products and generate business. - You would mine, identify and segregate data of IT companies offering technology products or services. - Pro-actively communicate with the Founders, Directors, VPs, Business Heads and other decision makers in small and medium IT companies via phone, email, skype calls, chat, meetings and video conferencing. - Ability to interact & sign-up Resellers for our software products or manage existing Resellers. - Build relationships, discover and address Reseller's needs through a sales dialog. - Constantly communicate, monitor, manage and train Resellers in our products. - Conceptualize, create collaterals required for signing up Resellers. - Co-ordinate, collaborate with content writer, product management, marketing, sales, support and related teams through the product-lifecycle process to collect information and create collaterals. - Help them generate business. - Ability to meet or exceed the established targets of Reseller sign-ups. - Understand our software products thoroughly. - Keep abreast of whats happening in the CRM landscape, market conditions, competitive activities,advertising and promotional trends by actively reading through pertinent literature. - Any graduate can apply. - It's a plus if you have a degree in MBA / BMS / BMM. - Ability to understand and explain things precisely and correctly. - High level of drive, initiative and self-motivation. - Aptitude and willingness to learn technology. - Should have an eye for detail. - Marketing intellect and aptitude. - We are passionate about what we do and not just because we offer the most competitive salaries in the industry. - No dress code. T shirts, shorts, jeans, flip flops are just fine. - Flexible work hours. We have flexible work hours and flexible holidays, which means that teams pick their own work hours. - We devote 10% of our work time to learn new things. - Free around the day snacks & beverages. - Carrom & other gaming sessions for unwinding after a hard day's work. - Our workspaces are comfortable and fun. - We go out for picnics, treks, adventure sports, leisure trips & play : cricket, football, chess, pool, kite flying and much more.